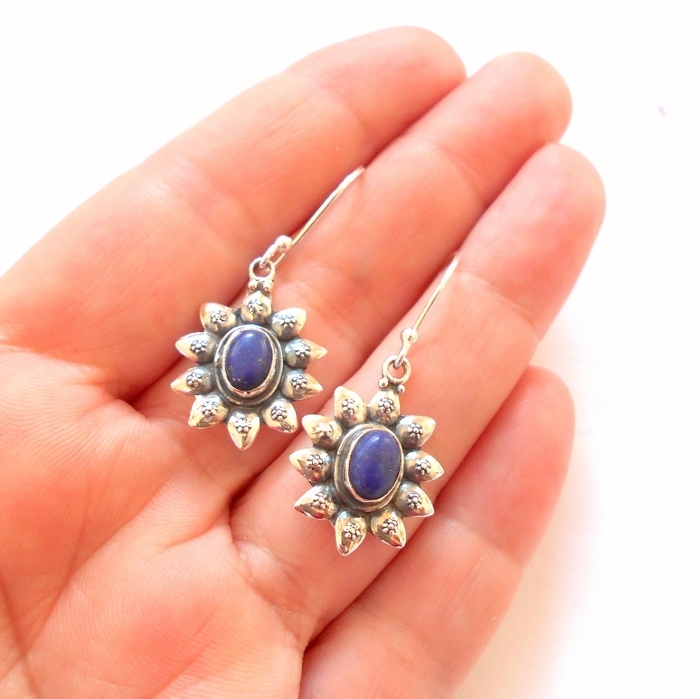 Lapis gemstones set in sterling silver earrings. 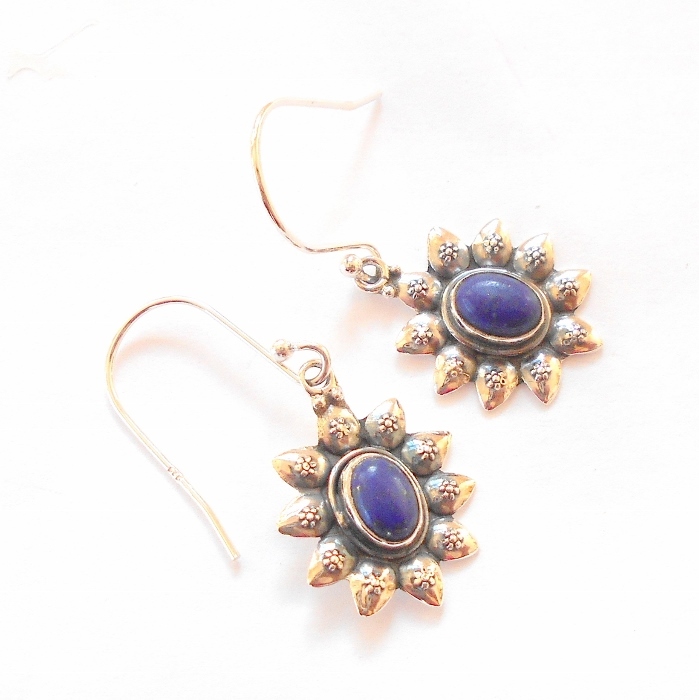 Lapis lazuli is a wind element gemstone associated with inner vision and honest communication. 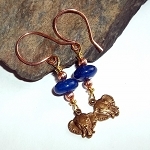 Lapis stimulates one's desire for knowledge and understanding. Overall drop length 1 1/2 inches.